About 65.000 people were standing along the routes the Queen and her royal family visited. 20 000 attended the festivities in Rhenen and 45.000 in Veenendaal. In Rhenen the royals walked an hour and half through the historical city, where they met the inhabitants of the Ouwehands dierenpark( zoo), not real animals off course, but children dressed as animals. And of course there were games, very old tradition like games, like Toilet bowl throwing, a game where you grab a toiletbowl , and swing it through the air, even Prince Willem Alexander threw one. The Queen and her royal compagny left the town through "de Westpoort", a replica of a towns gate out of the 17th century. In Veenendaal the people were as enthiousiastic as in Rhenen. Almost 500 children were singing when the Queen entered the city. led the Royals past a self powered generating playground. The Queen said that the visit to these city's gave her and the royals a fabelous and wonderfull day, although she regrets that her family was not complete. 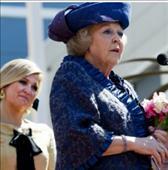 She referred to the fact that her son Prince Friso is still in coma and stayed in a clinic in London. "All the love, good wishes what we felt and seen today we will pass through, "the Queen said. The police received 95 tips concerning the violent robbery on a jewelers store in The Haque, where the 47 year old owner was shot. The proscecuter in The haque offered a award of 15.000 euro for tips that lead to the arrest of the perpetrators. The police put twice as much detectives on the case. Today flyers were handed out and billboards will be made. "We will do anything to catch to catch these cold hearted criminals", the police said. A woman who was so emotional hurt through this dramatic incident, offered an extra amount of 5000 euro for the "golden tip"wich will lead to the arrest of the criminals. Two man, robbed the jeweler on wednesday, in his shop . On images of the security camera is seen how the two men enter, and behave as regular customers. They were lookin at jewels which were displayed on the counter. Moments later they grabbed a gun and pointed at the owner. The images that they shot the owner is not shown on television and internet. The jeweler was shot and died in the hospital later that day. Images of the security camera were released and the detectiveteam expects to get more information about the indentification and whereabouts of the two men. Around 4:15 Am , patrolling officers saw a passengers bus approaching them, honking his horn speeding, and flashing lights. The police who were on mountain bikes followed the bus, but it speeded through red stoplights. The bus was stopped by a other police unit and the driver license of the busdriver was seized. Another busdriver was called to bring the passengers to their destination. 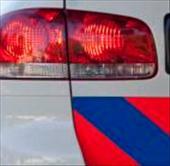 Yesterday divers found in the Westhavenkade in Vlaardingen a body inside a carwreck. A shipper rapported the police he propably hit something in the water. The police started an investigation and divers searched the waters. It appeared to be the body of a 59 year old man out of Maassluis. This is what the police concluded by searching the content of the car. The body of the man is in bad state, so teeth analyses will tell if it is indeed the man out of Maassluis. The man is been missing since December , last year. The police is suspecting it was a suicide.